The digital interpretation of Space Hulk plays a lot like XCOM: you move your squad of human soldiers down the board in turn-based fashion, and while all of them are capable, the different ranks and roles specialize in different combat situations. Attacks and damage use a dice system, so while the action can get surprisingly intense, it all more or less boils down to percentages. 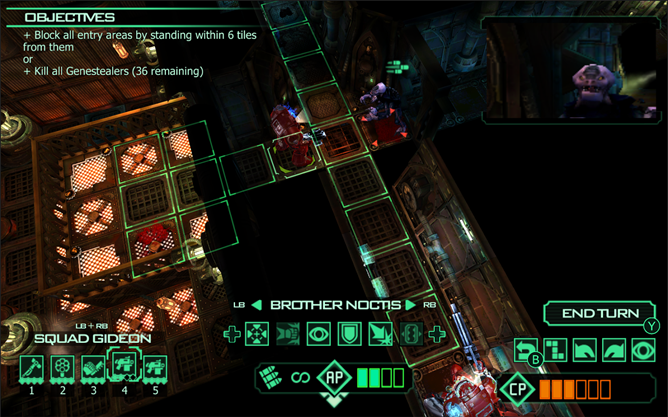 Combat is focused on tight corridors and covering angles, without the wide-open battlefields of similar tactical games. 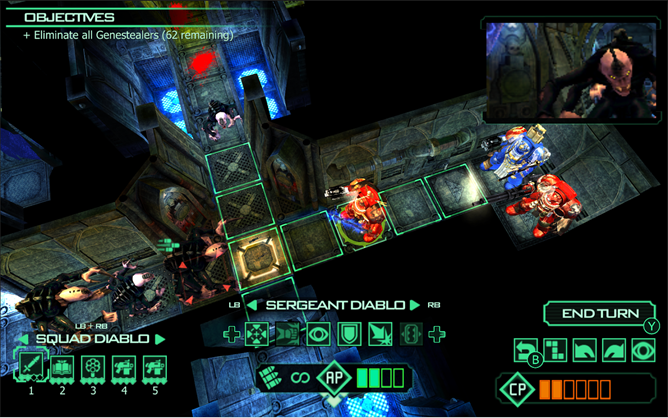 Though Space Hulk is a top-down game, it's presented in full 3D so that action moves and an always-on soldier POV cam can show off the Warhammer universe. The single-player campaign includes the twelve original missions of the board game and three prequel episodes, and local "hot potato" multiplayer is available if you prefer the tabletop experience. The game is $14.99 (on sale from an alleged regular price of twenty bucks), which is ten dollars cheaper than it's going for on Steam at the moment. Update: Despite the promotional video from NVIDIA, we're getting reports that some semi-random Android hardware is compatible with the game, notably the HTC 10. If you're a fan of the Warhammer franchise it couldn't hurt to take a look.